What makes a race *good*? A solid course is a good start. Obstacles need to be good, providing a challenge for the people who race often, and letting your new racers achieve something they feel good about. It helps, to be good, if you have a festival area that keeps people hanging around, and keeps the entertainment going. Something to take home too – if people are proud of what they did, they take it to social media and they talk about it on Sunday, and Monday – and for weeks to come. You need to nail all of the above. 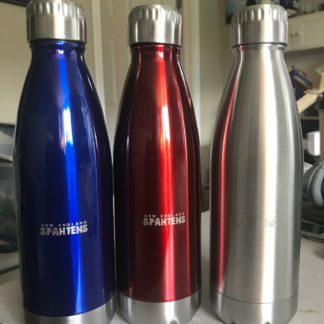 You need to bring it home in style – and provide that little bit extra – that thing that no one can really identify, or describe – but it makes your event – your already good event – stand out a little. 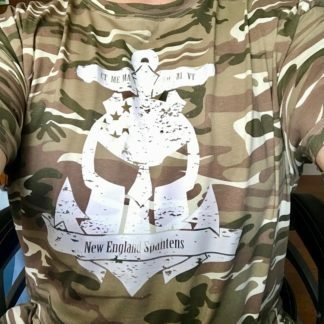 For members of the New England Spahtens – FIT Challenge provided that this weekend, and lived up to the #doepicfit hashtag our race shirts had on the back. 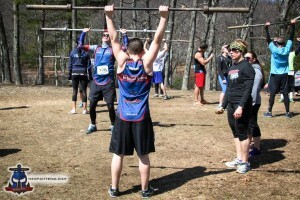 This was the fourth FIT Challenge, the second to be held at Diamond State Park in Cumberland RI – an easy to find, 373 acre location with good space available for both a 5k course, and a large festival area. An old ski resort, it has some significantly steep hills and lots of rocky trails to take advantage of, and FIT did. $10 to park, and the amazing weather meant people hung around and the parking lot got full quick – a good problem to have! 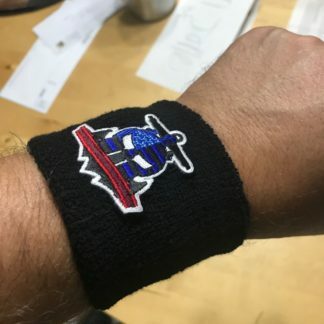 As a member of the best OCR community in the world, we enjoy a few things that your average participant wouldn’t – Robb McCoy, the owner, organizer, RD and chief mohawk of FIT Challenge goes out of his way to encourage, attract and retain fans in the New England Spahten community – from unique pieces of swag for the team (a pair of promo sunglasses my son LOVES), to as much space as we can handle to pitch our own tents, bring coolers and bring lawn chairs. 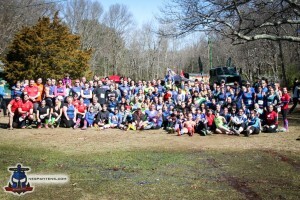 It’s a huge part of why FIT is so loved in the NES community – when you can do a race, then are actively encouraged to hang out, get comfortable, let your kids run free and bring a cold drink or three – it’s why ~270 people came, and most of them were still there long after they ran their wave. I know I didn’t leave until things were being broken down, and even then, with the amazing weather we were enjoying, I’d have hung out longer if my little one was holding it together better. But – even thats not enough to #doepicfit. You need the course to be top notch too – and this was one of the best FIT has put on. The trails, the hills and the layout were challenging – from steep climbs and descents to being a dead accurate 5k in distance. Being a huge team wave, we had some backups for the first 1/2 mile or so of single track trails – but if you were going for time, you start at the front or run elites – nothing to complain about there. Obstacle layout was denser than previous events, with more walls, a long uphill crawl, and the infamous teeter totters (don’t even bother if you don’t have studded Icebug’s on!). There needed to be more Wreck Bags – when I arrived, I had a short wait for a 40lb bag to come back down the hill, but at least it was right by a water stop, so I could re-hydrate. Later in the day the call was made to cut this portion short, due to the lack of bags available. Also a little uncharacteristic was the backlog towards the end of the course as we came into the complex with the two rigs, and two high “over” obstacles – the ABF Mud Run guys from NJ were working this spot, and had supplied one of the rigs (the others being FIT supplied) – they’ve both heard the feedback and know that they need to prepare for more through put in this area, or separate such complex obstacles. 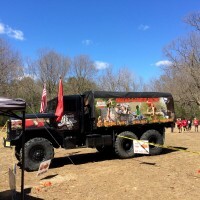 Still – the zone created a really nice spectator spot, and was very easily accessible! Kudos also go to the Crossfit 508 guys! after last races spot left us wanting more, they put out a good three series zone – with a long stretch of burpee broad jumps, followed by an atlas stone carry – then a series of push presses with a 45lb bar – it was REALLY nice to come across, and a great, last gasp to burn your energy before you ran to the final wall and finish line. 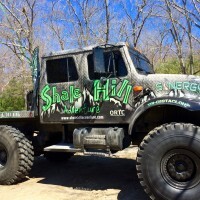 On top of the obstacles, Robb also had representation – both in the form of banners, monster trucks, RD presence and vending from our friends at Shale Hill, Grit n Wit, Samurai Sprint, Blizzard Blast’s peg boards, OCR Gear / OCR World Championship (FIT was a qualifier) – and having that much presence from that many race events is a testament to the #racelocal Grand Prix and the #ocrunited movement FIT is part of. For those who consider 5k a quick training run, FIT also offered multiple laps – for free if you didn’t want to be timed, or a $10 cost if you wanted to go back out with a timing chip (essential for the #racelocal Grand Prix Mileage Challenge) – reports of 3, 4 and even 5 laps were coming in and prizes given out. 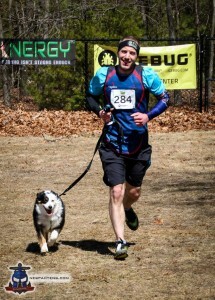 25k on this past weekends FIT course was no joke. 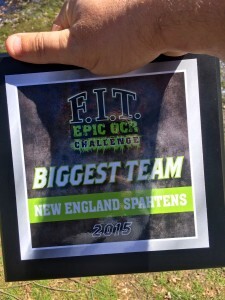 So, was FIT Challenge IV as epic as the hashtag? 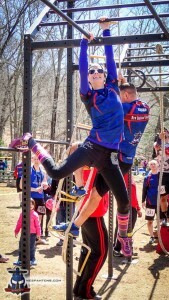 Yes – with few exceptions this was a fantastic event, well run, everything was well built, and the festival kept us around for hours – great job to the entire FIT Challenge team. 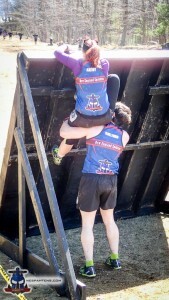 If you do obstacle races and haven't tried FIT Challenge, you are truly missing out on one of the best races I've ever done. 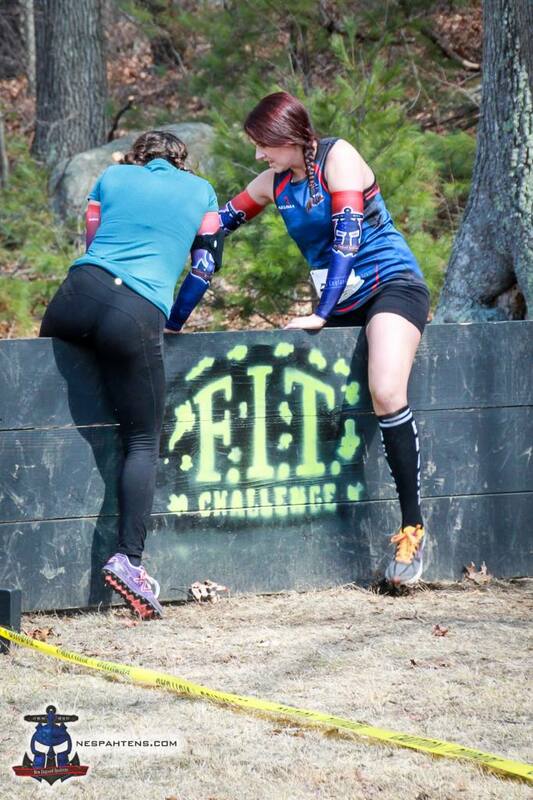 If you haven't done FIT Challenge because you haven't done obstacle races, then you are actually missing out, make sure you sign up for the next one!